Nov. 2, 1948 was Election Day. The war was over, the Allies had been triumphant, defeating Germany and Japan on their own turf. The Great Depression was rapidly becoming a distant memory as GIs, returning for the war, were going to school on the GI Bill, getting married, having babies, building houses. The county was booming again after a decades’ long struggle. The smart young politician had just defeated the old man, war-worn and tired. The morning newspaper, The Chicago Tribune, confirmed it. Republican Thomas E. Dewey, 43, the mob prosecutor from New York City, was the winner. Dewey had run for president once before, in 1944, giving Franklin Delano Roosevelt the closest election of his four presidential wins, even though it wasn’t that close – 53.39% for FDR and 45.89% for Dewey, not yet 40 years old. Harry S Truman (he claimed the S stood for nothing and was not to be followed by a period) had been a low-key senator from Missouri for a decade when he was chosen to replace the current vice president, Henry A. Wallace (1888-1965) because of Wallace’s contentious personality. 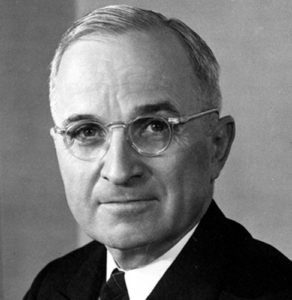 Truman had been vice president for a mere three months when FDR suddenly died on Apr. 12, 1945, making Truman the 33rd president of the United States. 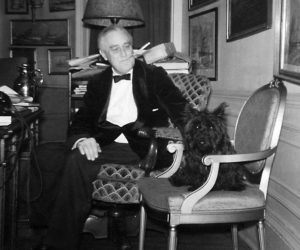 Then FDR died, Truman served out the rest of the term and then ran for president in his own right. He won. Dewy lost. And the Chicago Tribune headlines went down in history. This November, 2016, the Tribune has company: the German newspaper, Markische Allgemeine. 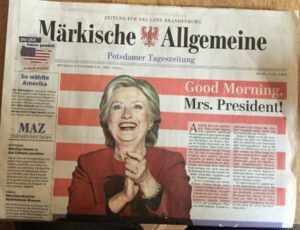 So sad that the Markische Allgemeine got it wrong. Without the last weeks’ influx of “dark money” (thanks to the Citizens United ruling by our ridiculously right-leaning Supreme Court) and without purging hundreds of thousands of mostly black voters from the roles of states where the Trump prevailed by a few thousand votes, and without Crudy Guiliani influencing the FBI to become a political entity, Markische Allgemeine would have had it right.